In an important sense, APR is acting as the grassroots agent of change that is bringing nature back to areas that are no longer needed for agriculture or livestock production. This mosaic of land ownership across the prairie underscores a significant quirk of US history: the federal government simply never granted homestead claims large enough to support a viable agricultural operation in the arid American West. A 160-acre farm may have been viable in Ohio or Virginia, but it was ill-suited for the arid landscape of eastern Montana. Even the expansion of homestead claims to 640 acres in 1916 was not enough in many parts of the arid West to sustain livestock on a year-round basis. Thus, with land claims too small to support an agricultural or livestock operation, many homesteads failed.1 Those that succeeded did so by grazing livestock on large amounts of nearby public lands, a practice that continues today. Every ranch APR buys is seen as a loss by these agricultural communities — fewer kids in the local schools, fewer parents serving on the school board, fewer church members and volunteer firefighters. Every property taken out of agriculture also means fewer sales of tractors and other equipment, which could result in fewer people supporting local businesses. That fear is not without justification. 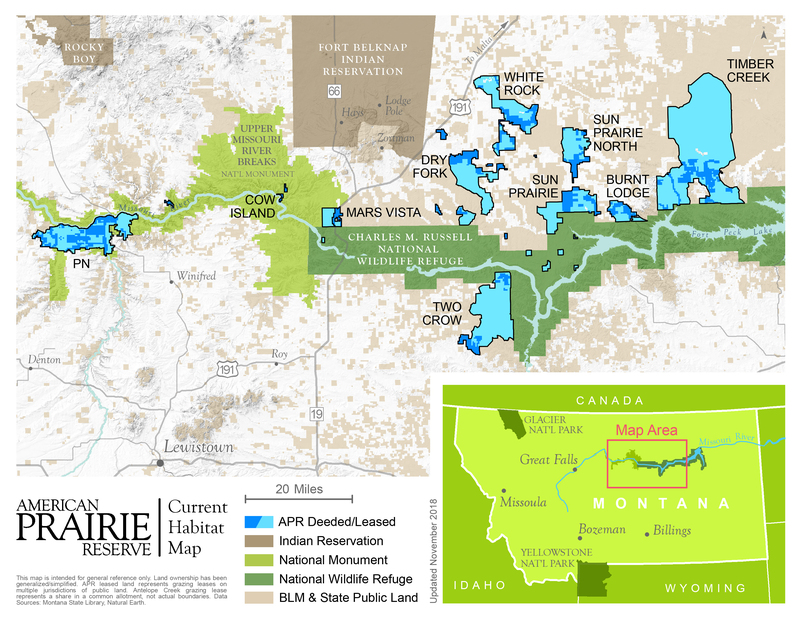 In 1987, two academic urban planners from Rutgers, Frank and Deborah Popper, gained national attention for their proposal to create what they called “the Buffalo Commons” — a 139,000-square-mile nature preserve on the Great Plains.2 The plan would, in their minds, rectify the past wrongs of the homesteading era that caused so much of this great land to be plowed under and developed. 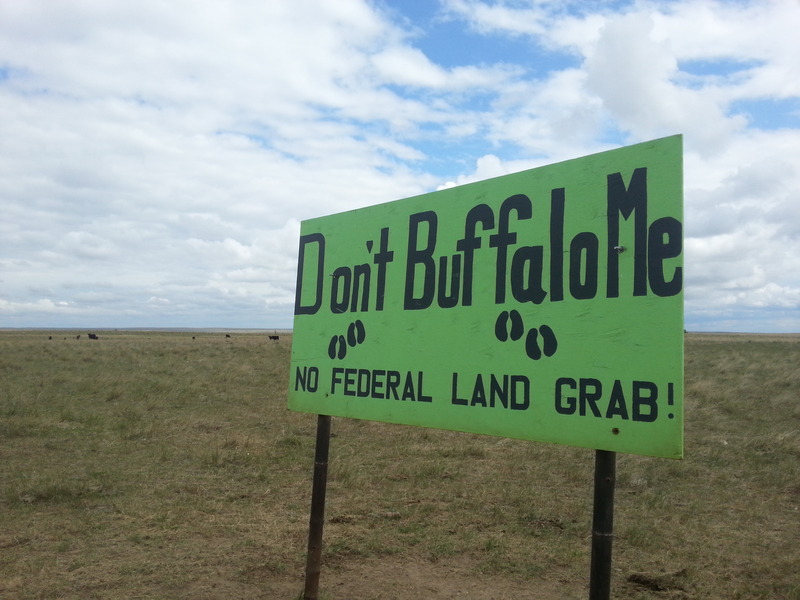 Settlement of the region, they wrote, was “the largest and longest-running agricultural and environmental miscalculation in American history.” They proposed that the region instead be “returned to its original pre-white state” and “in effect, deprivatized.” Buffalo would roam free across the plains, which would “become almost totally depopulated” over the next generation. 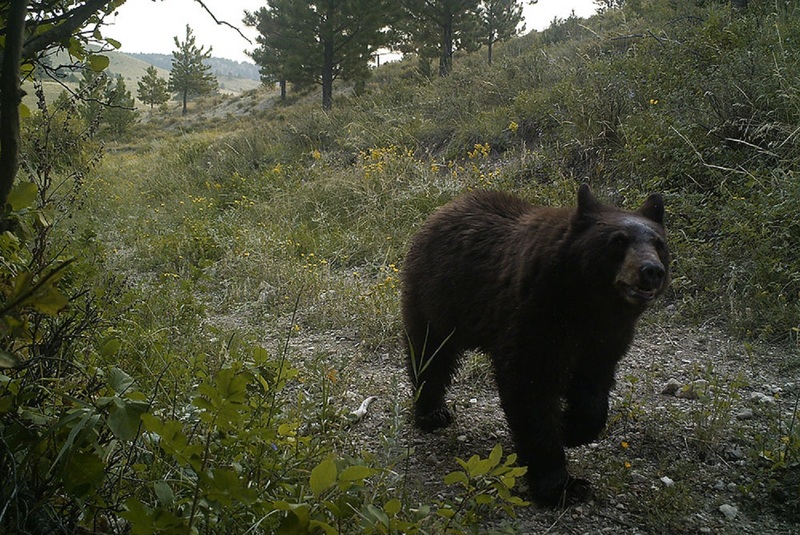 A camera trap photo from ranchers enrolled in the Wild Sky program, courtesy of PERC. History helps illustrate why. In the American West, the institutions that emerged in the 19th and 20th centuries to manage natural resources centered around the assumption that the resources would be put to productive uses.4 Rights to natural resources were generally defined and maintained based on “use” of the resource — for example, by using water to irrigate crops, by making the land productive to “prove up” a homestead claim, or by extracting oil and gas or mineral deposits. “Use it or lose it” is a common phrase associated with western water law, which requires that water-rights holders put water to a legally defined “beneficial use.”5 What constitutes a “beneficial use,” however, has traditionally been limited to extractive or consumptive activities. Federal grazing policy is no different. The grazing leases that APR acquires when it purchases private base properties come along with a use-it-or-lose-it provision. Permit holders must graze livestock to maintain the leases, which otherwise could be transferred to a rancher who would make use of the lease. The Taylor Grazing Act, which provides the foundation of the BLM’s grazing program, even states that permits are limited to those who are “engaged in the livestock business.”6 For the longstanding historical reasons described above, the institutions that govern grazing on federal lands were designed to provide access to forage on public rangelands for one narrow purpose: to feed domestic livestock. In short, the success of pragmatic, bottom-up rewilding efforts may require reforms — or creative adaptations — to the legal institutions that govern natural resources in the West. Entrepreneurial environmental groups generally cannot simply purchase federal grazing leases, buy out active energy leases, or outbid loggers on federal timber sales — nor can they wrest management authority over wild animals from state wildlife agencies, which are more focused on managing wildlife populations for social tolerance than on fulfilling the ambitious goals of today’s rewilding advocates.8 (With the exception of bison, the wildlife within APR’s borders are ultimately owned and controlled by the state of Montana.) These issues ultimately must be resolved in the political arena rather than negotiated locally, and in practice, they present serious barriers to pragmatic rewilding efforts like APR’s. The key question is whether rewilding will (or should) come from the top down or the bottom up. For a libertarian, market-oriented environmentalist like myself, who favors voluntary, rights-based solutions to disputes over environmental and natural resources, the APR story is instructive for several reasons. First, it powerfully illustrates the potential to achieve landscape-scale conservation by embracing voluntary exchange instead of zero-sum political or regulatory conflict.9 APR’s success to date is proof that these forces can be channeled to achieve a large-scale land use transition that recognizes the property rights of local people, accomplishes its goals through market-based exchange rather than regulatory or political means, raises funds from a broad base of supporters, and taps into people’s deeply rooted passions for conservation to achieve meaningful, on-the-ground environmental restoration. Conservationists have underappreciated, and underestimated, the potential for such strategies to succeed at a landscape scale. Shawn Regan is a research fellow at the Property and Environment Research Center (PERC) in Bozeman, Montana.